If you wish to contact the Parish Council, please contact the Parish Clerk: by e-mail at filkinsclerk@hotmail.co.uk. If you wish to see the Clerk please telephone or email first to make an appointment. Alternatively, any of the Parish Councillors would be happy to discuss any aspect of parish business. Please contact them at the numbers below. 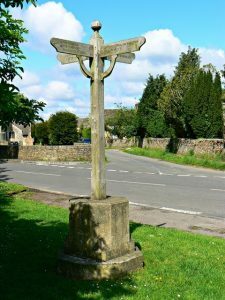 The Parish Council have recently conducted a survey of the properties owned or under the control of the Parish Council. This was carried out by Nick Owen from Property Pathfinders. The survey can be found here. This will enable the Parish Council to budget their expenditure over the next two-three years. All meetings are held in Filkins Village Hall committee room and start at 7.30pm unless otherwise specified. THE ANNUAL PARISH MEETING WILL BE HELD ON 21ST MAY 7.30PM ALL RESIDENTS ARE INVITED TO ATTEND. THIS WILL BE FOLLOWED BY THE PARISH COUNCIL MEETING. If you would like the Parish Council to discuss any matter, please let the clerk know two weeks in advance of the meeting so that the matter can be considered for the agenda. Alternatively, all parishioners are welcome to attend and listen to all council meetings, and there is always an opportunity for those who attend to put any points to the council. There will not necessarily be any debate on any matter not on the agenda. On the 28th October the Parish Council walked round the village. Please click below to see the notes and actions to be taken.